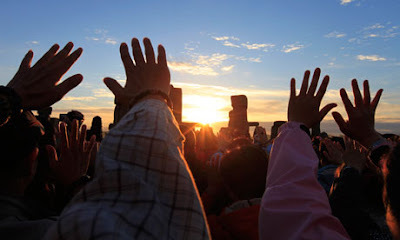 ﻿Each year on the 21st June visitors from around the world gather at Stonehenge overnight to mark the summer solstice and to see the sunrise above the stones. 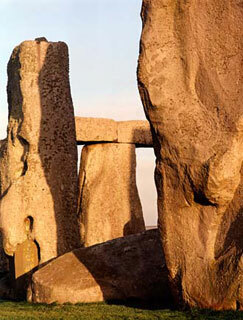 At dawn the central Altar stone aligns with the Slaughter stone, Heel stone and the rising sun to the northeast. For many the impulse to arrive at Stonehenge in time for the Solstice is a little like all those people drawn to the strange rock in Close Encounters of the Third Kind. It’s akin to a spiritual experience. Anyone who has witnessed the crowd become silent as the sky begins to brighten can attest to that. 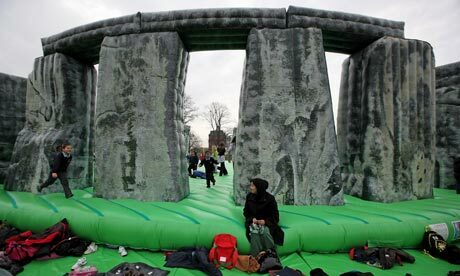 English Heritage are again expected to provide "Managed Open Access" for around 20,000 people to Stonehenge for the Summer Solstice. Please help to create a peaceful occasion by taking personal responsibility and following the conditions (see below). Please note that a high volume of traffic is anticipated in the Stonehenge area on the evening of Wednesday 20th June. The car park (enter off the A303 from the roundabout - it's signposted) will open at around 7pm on Wednesday 20th June, and close at around noon on Thursday 21st June. Note that last admission to the car park for vehicles is at around 6am. Access to the stones themselves is expected to be from around 8.30pm on Wednesday 20th June until 8am on Thursday 21st June. There's likely to be casual entertainment from samba bands & drummers but no amplified music is allowed. 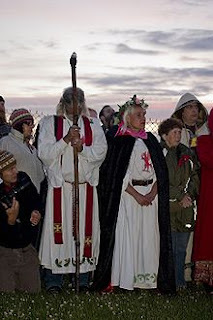 When you visit Stonehenge for the Solstice, please remember it is a Sacred Place to many and should be respected. Van loads of police have been present in the area in case of any trouble, but generally a jovial mood prevails. Few arrests have been made in previous years, mostly in relation to minor drug offences. Toilets and drinking water are available and welfare is provided by festival welfare services. There are normally one or two food and drink vans with reasonable prices but huge queues, all well away from the stones themselves. Rules include no camping, no dogs, no fires or fireworks, no glass bottles, no large bags or rucksacks, and no climbing onto the stones. Please use the bags given free on arrival and take them out, filled with your litter, to the skips provided. Please respect the rules so that we're all able to enjoy the solstice morning at Stonehenge for years to come. Where possible, please travel to Stonehenge using public transport. 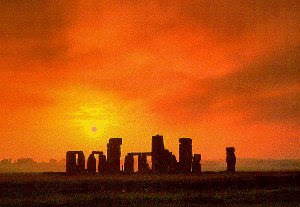 The local bus company, Wilts & Dorset, will be running a service from Salisbury railway and bus stations to Stonehenge over the Solstice period. This bus service will commence at 1830 hours (6.30pm) on Wednesday 20th June and run regularly until 0115 hours (1.15am) on Thursday 21st June. A service taking people back to Salisbury will start again at 0400 hours (4am) and run frequently until 0945 hours (9.45am). Access to Stonehenge from the bus drop off point is through the National Trust farmland. 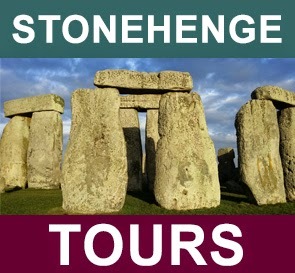 The Stonehenge Tour Company offer mini coach tours and transport from London but only take a small group and are often full 6 months in advance. 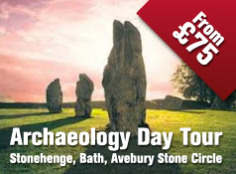 Tired of trekking all the way to the Wiltshire countryside just to perform your druid rituals at the actual Stonehenge site? Do you wish there was a more convenient way? Well your prayers—or chants, or whatever—have been answered with this inflatable alternative. A team of academics have revealed the "sonic experience" that early visitors to Stonehenge would have heard. Scholars from the Universities of Salford, Huddersfield and Bristol used an American replica of the monument to investigate its audio history. Salford's Dr Bruno Fazenda said they had found the site reacted to sound "in a way that would have been noticeable to the Neolithic man". He said the research would allow a "more holistic" view of its past. The acoustic experiments could not be carried out at Stonehenge, as the derelict state of the site meant only a "few weak echoes and no noticeable reverberation" could be studied. As a result, the team used a full-sized concrete reconstruction of it in Maryhill, America, which was built in 1929 as a memorial to WWI soldiers. 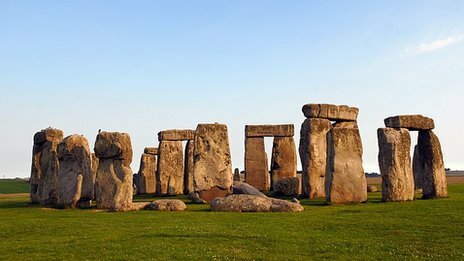 In February, scientist Steven Waller published a paper suggesting the design of Stonehenge could have been inspired by music. Dr Fazenda, who has been involved with the acoustic testing of the monument for four years, said his own research had not revealed if this was the case or not. "Stonehenge is very well known, but people are still trying to find out what it was built for," he said. "We thought that doing this would bring an element of archaeology that so far hasn't been looked at. "This type of research is important because now we can not only see ourselves surrounded by the stones using virtual reality, but we can also listen how the stone structure would have enveloped people in a sonic experience. "It is as if we can travel back in time and experience the space in a more holistic way." Dr Fazenda said that the data collected did not "unequivocally reveal" if the site was designed with acoustics in mind, like a Roman amphitheatre. It is their intention to keep local residents, community groups and businesses fully informed about the project, and we will be sending out regular newsletters updating you on progress.